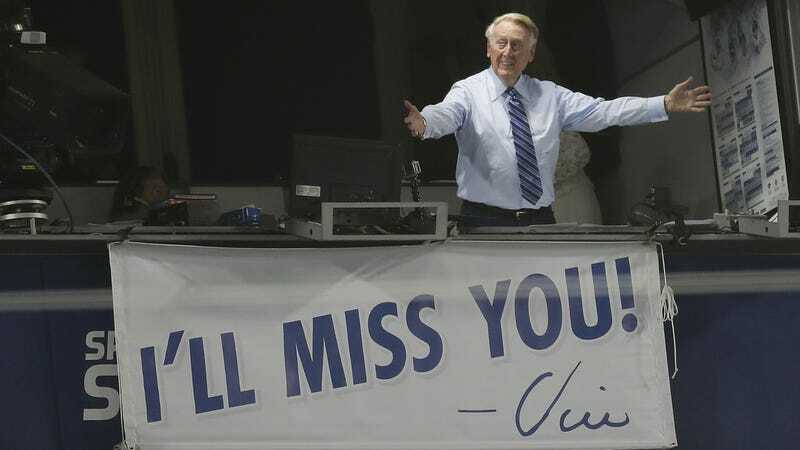 You might be ready for the return of baseball, but Vin Scully isn’t arranging his day around it. The former Dodgers broadcaster told the Associated Press that he has no plans to watch the team’s first Opening Day game without him since 1950. “During the World Series back around ‘77 or ‘78, there was a game at Dodger Stadium with the Yankees, and I went to the game as a spectator. Now, I hadn’t been as a spectator in a long, long time, and I felt somewhat restless that I wasn’t broadcasting,” Scully recalled Tuesday. Next he’ll say that likes the idea of extra innings with runners on base, too.